Made in Nicaragua by a highly-respected cigar family with a fine Cuban heritage. 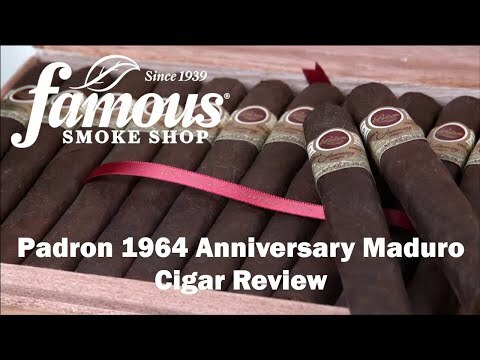 The Padron 1964 Anniversary Maduro is one of the most exquisite tasting and all-around 'awesome' full-bodied cigars you'll ever smoke. Much richer and sweeter than the 1964 Natural, the Maduro presents a complex tapestry of flavors with traces of coffee bean, cocoa, and hazelnut. Handmade with 4-year-aged all-Nicaraguan tobaccos, these rare, box-pressed premiums are some of the world's most highly-rated and memorable cigars. A MUST-SMOKE!